You have a very high risk of your home or building containing lead, if your property was built before 1978. It is usually found in the form of either lead paint or lead contaminated dust on a large variety of surfaces. With millions of properties still containing the toxic substance under newer paints of coat, lead poisoning is a serious danger. Somewhat like asbestos, lead isn’t a threat in and of itself, but only when lead is disturbed or the area is damaged will lead contaminate the environment. 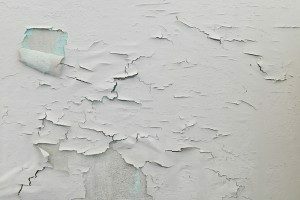 Many don’t realize that even minor damage, including peeling, or water damage, can be cause for serious concern, and this is why the EPA began to demand actions from contractors if lead has been detected. Lead Abatement – What Is It? Inspection, where elements of lead will be chemically detected. Lead must be detected before abatement can begin. Regulation by the EPA, and other federal laws, only extend to Alaska, Florida, Idaho, Wyoming, New York, New Mexico, South Carolina, South Dakota, Wyoming, Nevada, and Arizona. If your state is not on this list, then there will be a state-run program for lead paint that’s been authorized by the EPA. Certification is required for abatement. Contracting firms must apply and be approved specifically to be an Abatement or Evaluation firm to provide removal and inspection services respectively. You may be vulnerable to fines and other penalties, if the contractor you hire is not certified and does not have the proper licensing! Lead abatement either by a contractor, or by you personally, is taking a huge risk with your health and your building, if not certified. Even the staff working for the contractor must be certified as well for any and all activities related to lead-based paint. This means that every employee working for the contractor firm must be specifically trained and approved to perform the work. Five-day notice – Prior to conducting lead based activities, the EPA must be notified with the exception of emergency abatement orders or Elevated Blood Lead Level determinations. Changes in scheduling, cancellations, and other actions are required for reporting as well. The reports required include the start time of abatement, expected end time, type of building, certification information, name of firm, address of property, documentation of EBL level, specifications on how much of an area has been abated, a complete report of the abatement, and signatures of both supervisors and representatives from a certified firm. To get in contact with a certified lead abatement firm, there is more information on the EPA’s website, or with your own state’s lead paint program management agency. Water Extraction Team (WET) is an Ohio Certified Lead Abatement Firm.